Use Cut "N' Boss to cut "Small Ivy" die 4-5 times. 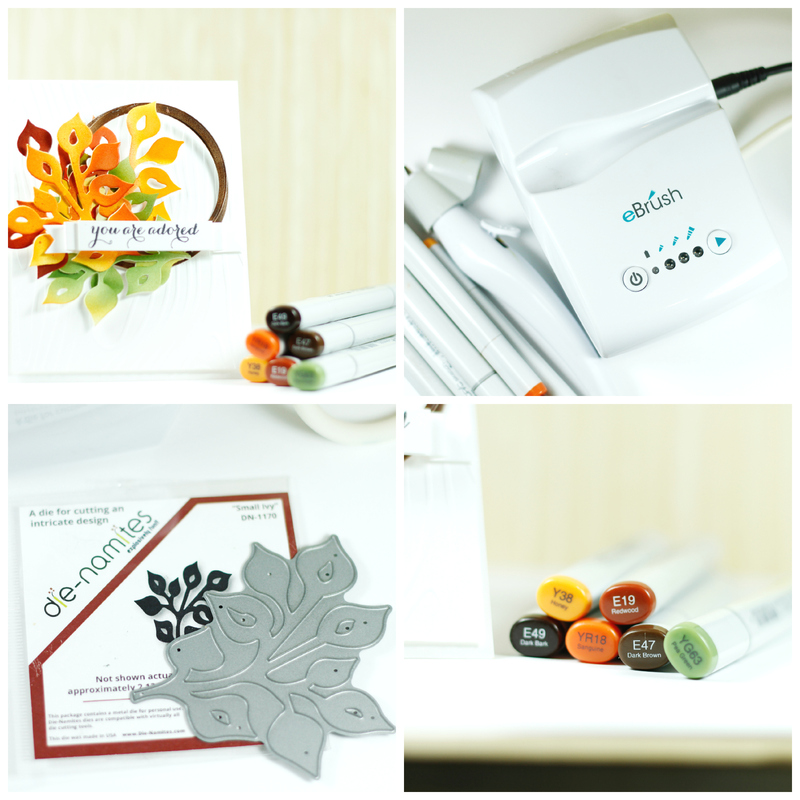 Set up e-brush machine and appropriate marker adapter and select a collection of complementary markers. Use three nested circle dies in 3 adjacent sizes (e.g. 3, 4, and 5 inch circles or 4,5,6 inch circles) to create a pair of rings, with one ring larger than the other. Overlap and adhere rings together to create a wreath. 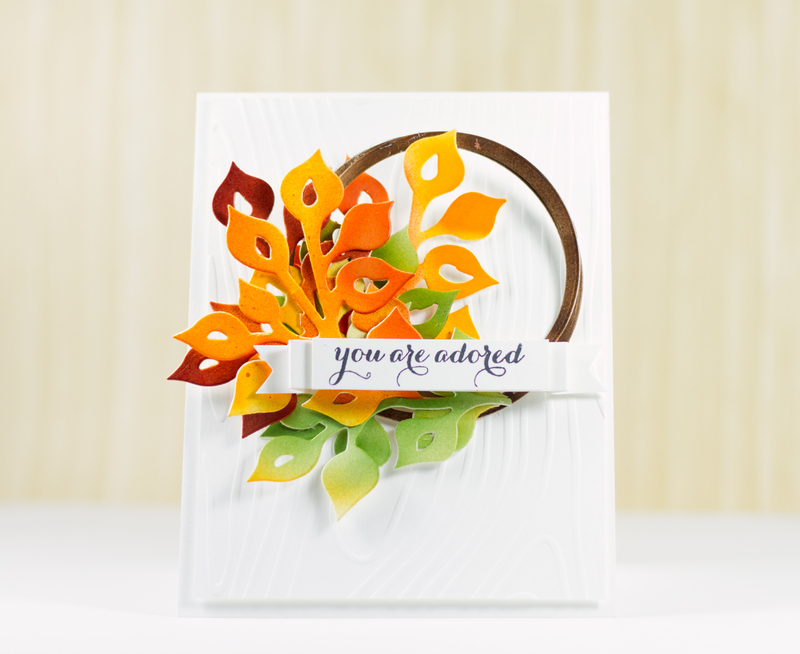 Spray each set of leafy die cuts using the ebrush and your favorite markers. Airbrush lighter color first, adding shading and/or emphasis by applying a second coat, or layering on a darker shade from the same color group. Use clear tacky glue to adhere the leafy dies around half of the wreath. Adhere the decorated wreath to a card panel using foam tape. Adhere card panel to a card base sized to 4.25 by 5.5 inches. Use scrap paper and stamp a sentiment. Adhere sentiment to decorated wreath. Let's take another look at this card! Thanks so much for stopping by the blog today! For more of Tyra's projects, head over to Tyra's blog!